The church of St. Mary the Virgin, Christon, Somerset. 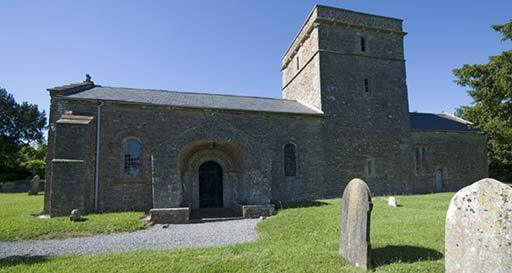 A two node tour of this late Norman church [ built c. 1170 AD] in the hamlet of Christon, Somerset. This small parish church features a late norman arched door which is adorned with zig zags, above which is a hood mold in the greek key pattern. The porch itself is a later mediaeval addition, with the door and iron work being added during an 1875 refurbishment. The nave dates to the 15th century and has a wagon-roof with bosses at the centre of alternate ribs, this was also included in the 1875 refurbishment along with the nave windows.